Kale is one of those things magazines keep telling us to eat because it's AH-MAAAAY-ZING for your overall vitality. The truth is, it tastes a bit like arse unless you give it some lovin' in the kitchen. So that's what I did. Wash your kale! You don't want to find any little buggies hiding in the curly leaves. I say this from experience, except I found half a bug. Pat the kale dry and strip the leaves from the stalk (pull down the stalk "against the grain" and they should come right off). Tear them into bite-sized pieces and pop them in a big mixing bowl. 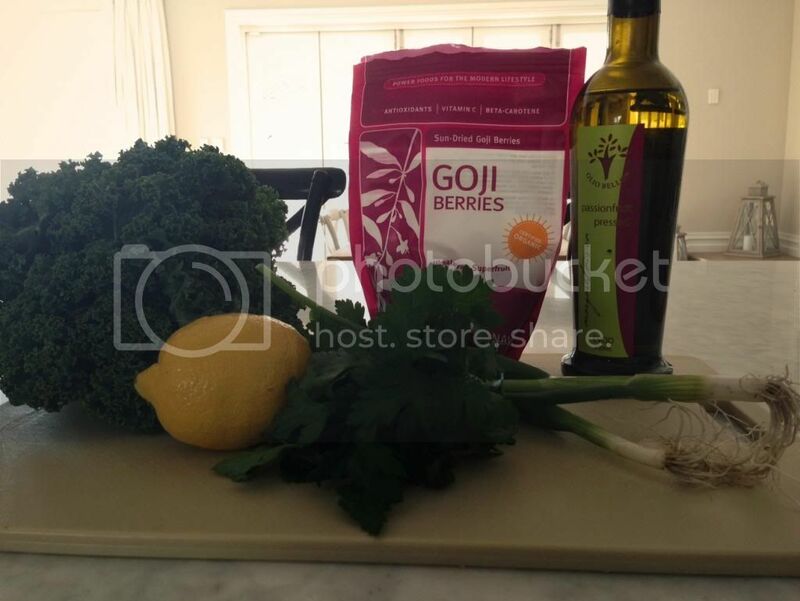 Sprinkle about a teaspoon of sea salt into the bowl, along with the 4 teaspoons of EVOO. Time for the dressing! Simply use a fork to combine lemon juice, honey (or stevia - liquid is best in this instance) and cayenne pepper if you want to give your salad some sass. Pour the dressing over the leaves, give it another good toss and serve! I usually serve this with chicken or fish. You can also dice up a few strawberries to add to the mix, grapes also work well. This also tastes delish with toasted almonds tossed through! 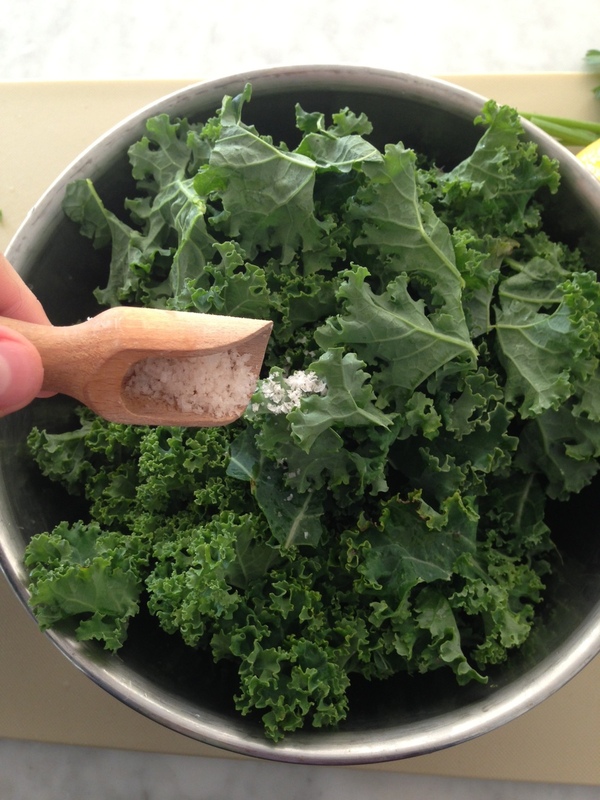 You can experiment with what you add to your kale! Your standard base is a massaged bowl of kale using salt and oil. Per calorie, kale has a higher iron content than beef. Chyeah, tell that to your carnivorous boyfriend/brother/dad/male acquaintance next time they sit down to a steak. Low iron levels can make you feel tired, but iron is also awesome for getting oxygen around the body...which is kind of important, no? Kale is a calcium super-source! 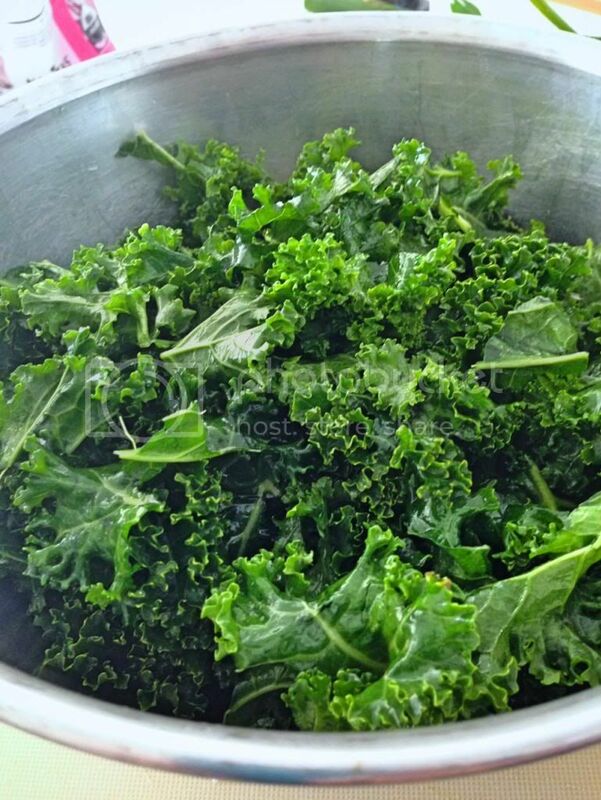 Put down the "extra calcium" milk and pick up the kale (besides, kale has more calcium per calorie than milk). Considering they're dried fruit, goji berries pack a lot of punch for a comparatively little amount of sugar. Plus they have ALL of the essential amino acids (building blocks of the body!) and are little protein bullets. They're a wonderful antioxidant to fend off any nasties like bacteria, fungus and wrinkles.